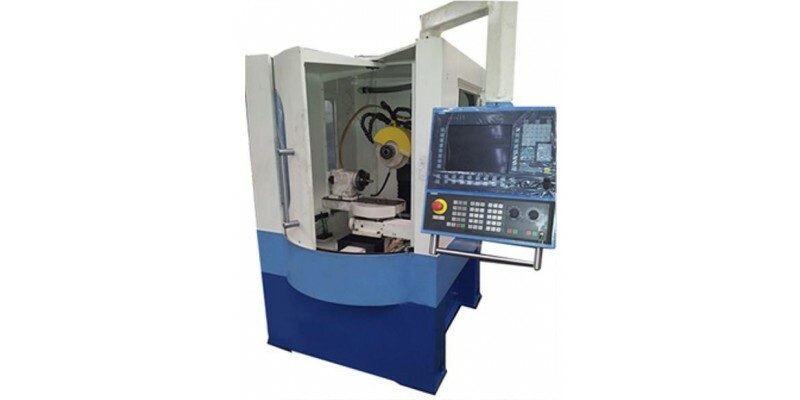 CNC semiautomatic profile and cylindrical grinding machine is manufactured according to the performance specification approved by the Buyer. 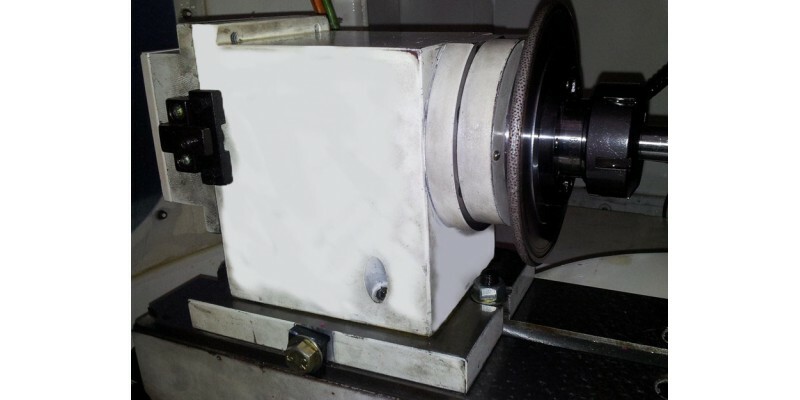 It has its original number and is designed for grinding of various cylindrical formed parts made of HSS or tool steel along different surfaces by highly resistant abrasive and CBN grinding wheels with coolant-cutting fluid. 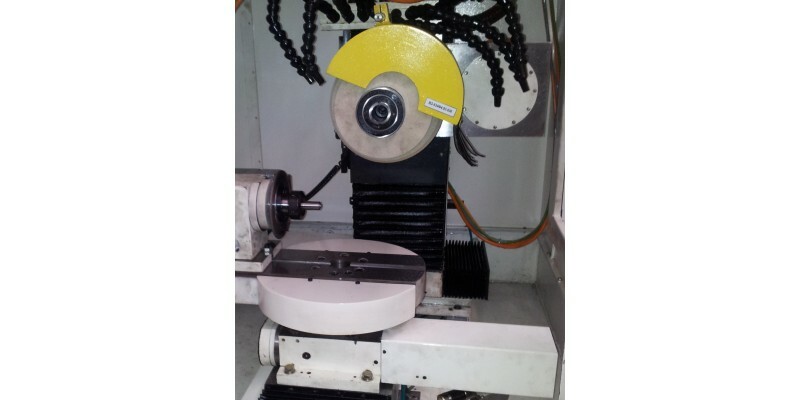 5 controlled axes and possible use of an elongated flange for simultaneous installing of several grinding wheels allow to machine workpieces along all the surfaces in one adjustment, that significantly increases efficiency due to reduction of downtimes, increases the accuracy of the workpiece processing due to elimination of errors, arising during blank reinstallation and eases operator's work. 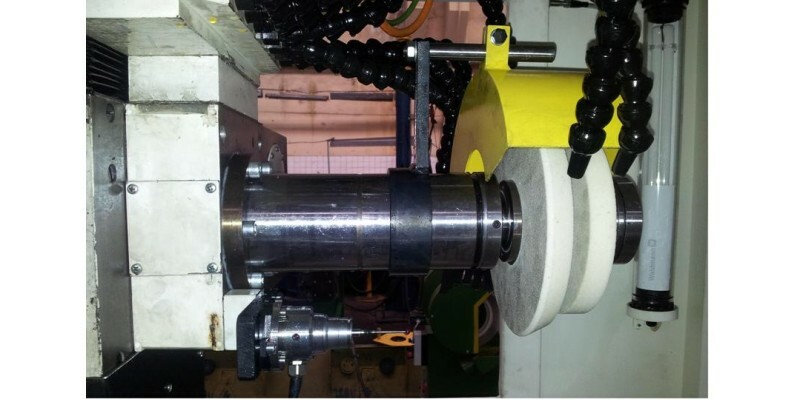 Grinding wheels can be profiled by torus diamond roll Ø 150 mm installed on the workpiece headstock spindle according to the CNC generated program directly on the semiautomatic machine that provides high-precision manufacturing of complex formed surfaces.The machine can be easily repaired due to high degree of parts, assembly units and machine modules unifi-cation. 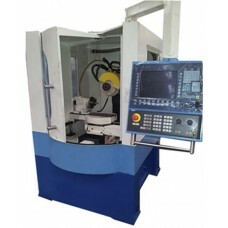 Workpieces are machined according to control programs generated by automatic part-programming system.